All of the components are housed in the Fractal Design Focus G Mini MicroATX mid Tower. This case is an affordable option that has front panel USB 3.0, room for full size graphics cards, and cutouts in the motherboard tray for easy cable routing. If also features 2x external 5.25" bays, 2x internal 3.5" bays, and 1x internal 2.5" bay. I know absolutely nothing about PC gaming so please forgive me if the things I'm about to ask are "stupid." Will this play all current games? If so, on what settings? How long would this PC be viable for gaming without upgrading parts? When it is time to upgrade, what parts would I be needing to upgrade? Are there any of these parts I should just look to upgrade at the start? It might be worth noting, I have no desire to stream or edit video. This would strictly for gaming. If you have the money, the CPU is defenitely something to look into upgrading, that’s going to hold you back as it is a dual core cpu, as for gaming, you should be able to play MOST optimized mid-range games on low-medium settings, sometimes even high, of you are looking to overclock the motherboard won’t allow much overclock as it’s a cheap and not as powerful motherboard as some out there currently. If I were to upgrade, I would defenitely look into upgrading your CPU first. Any powerful i5 within 100-200 dollars would be a good sweet spot, a quad core with hyperthreading, I have a 1060 6gb with a i5 7600K without hyperthreading, and the cores are really powerful and its a quad core processor, so look for a powerful quad-core processor, if your looking to upgrade to a 1060 or 1070, then I would recommend a Ryzen 1500x or i5 7600k, but if your going to go with the 1050 for as long as its going to work, then I would recommend a Ryzen CPU, as you get more out of the money rather than what you would with a Intel CPU. there are several AMD chips that are 3.7-3.9 gHz with quad core for 60-80 dollars that is a good bang for your buck. Any specific one in mind? This will play most Triple-A titles on low-high at 1080p, depending on the game, in the future you would be upgrading the CPU, GPU, Ram and eventually the Motherboard and PSU. If you're looking for cheaper upgrades use the ryzen Entry level gaming build and start with a B350 Chipset board, Immediate upgrades on this side are limited, possibly more or faster ram but that's not required, Before buying anything look up benchmarks for games you want to play on the 1050 Ti. Maybe try to build budget with a i3-8350k. If you were to go this route I'd say you'd be making a bit of a mistake. AMD's Ryzen platform, as Tigerslayer5 suggested, is a better idea. With this build, it doesn't have much of an upgrade path. The Ryzen platform has a very good upgrade path. You can go from the bottom chip (Ryzen 3 1200) to the top consumer chip (Ryzen 7 1800X) without any restrictions other than your budget. The best part is the AM4 socket (AMD) will be supported longer than the LGA 1151 socket (Intel). This means all you would have to do when Ryzen 2 comes out in the coming years is update your motherboard's BIOS (sort of like a combined control center/operating system for your motherboard). Upgrades for Intel chips are also expensive because the i3 is irrelevant with the Pentium in this build which is also made irrelevant by the Ryzen 3 chips. i5s are made irrelevant by the Ryzen 5 series and i7s are made irrelevant by the Ryzen 7 series. Most Ryzen chips are only slightly slower than Intel chips (not in the case of the Ryzen 3 1200 vs the CPU in this build). Price to performance matters. For the price of a locked i5 from Intel you can get a Ryzen 5 1600 which not only has 6 cores, but it also has simultaneous multithreading which means it has double the threads. So for $197 you get 6 cores and 12 threads vs 4 cores and 4 threads. Hope this helped and welcome to PCMR. We're allowed to support the platform we see as objectively better. Nobody said you had to like it. Yes a ryzen would be a good part for this build especially considering the tight budget. whats the difference between AMD and Intel? Yeah.. if you are starting out and have no clue about PCs and overclocking i'd go with the G4560 or the G4600 by Intel. That all depends on the CPU's in question. You can not do a blanket comparison between them since they make many different CPU's. Basically with Intel cores are more powerful, K processors are good with overclocking, AMD CPU's give you what you pay for, if your looking for decent gaming and are starting out, AMD is the perfect CPU to go for as you have a tight budget here and you would get more out of the AMD CPU rather than an Intel considering your other parts. Clock for clock Ryzen is pretty close to Intel. The 7700K @4.5 GHz is only about 20 FPS faster than the Ryzen 7 1800X/1700X @4.0 GHz. Mean while with the 16 threads vs 8 you could be playing a game, streaming it, and rendering a video at the same time. Generally speaking, Intel has been the performance king with much higher single-threaded performance and reliability than AMD for years and years, while AMD had high failure rates and had a "just throw more cores at it" approach - trying to make their products look better on the box while cheaping out where it matters. Now with Ryzen, that has totally changed as they've increased their cache sizes and improved single-core performance. Long story short - both are at a great spot right now, AMD got their crap together and put out a serious, quality product. The only thing is that Intel still has a slight edge on single-core performance, so for specifically HIGH FRAMERATE gaming (~120-240 fps for special monitors) Intel beats Ryzen in most cases, but anything short of that, Ryzen is in a great place for gaming right now. Also, Ryzen (in traditional AMD fashion) has more cores than Intel processors at comparable price-points, making them better for multitasking I.E. Gaming and Streaming simultaneously (since most games don't use many cores/threads), and they're great for general workloads like programming, hosting servers, etc. Can I trust all the sellers? All of the sellers/vendors/sites on here are trusted, PCPP vets all of the sites. I only trust a few. I buy from Amazon, Newegg, Best Buy, NZXT, Corsair, basically all the big name companies/brands. I ordered from B&H and OutletPC, as there is a low shipping cost and no tax, my parts come tomorrow, and they did fast shipping within 1 day, they in my opinion are really good. I am new to gaming on pc so would this be a good build for a beginner pc gamer? yeah. i have the same system and i am very happy with it. Defenitely a great build to start with, and defenitely would look into upgrading In the future! Smart separation of entry level builds for those who want AMD instead of Intel. I have purchased the exact same components and nearly ready to build Would you recommend any more fans ? The case (Corsair Carbide ATX) already has a built in fan . I have 2 questions. Is 2 Terrabites really worth it or should you get an SSD? Will an SSD improve the speed or improve the graphics? Answer 1. Get an SSD. Answer 2. The SSD will improve in the performance speed by faster boot time, faster loading in games, faster copy/writing of files and NO it won't improve on graphics. Few people use more than a TB. SSD is faster, but costs a lot more than an HDD, if your looking to store a lot of games and programs, get a HDD as its cheaper, but if you want to pick up an SSD just to store OS and Games, I would pick up a Samsung 250GB SSD. Most people don't even use 2 terabytes unless they're content creators or someone who modded the living hell out of a game like me. Buy the AMD beginner build. It's better bang for the buck. Only thing is switch the motherboard on it for this one https://pcpartpicker.com/product/sfcMnQ/asrock-ab350m-micro-atx-am4-motherboard-ab350m and switch the hard drive for a western digital caviar blue 1tb. That system will handle anything you throw at it 1080p 40fps+ in AAA games on high. 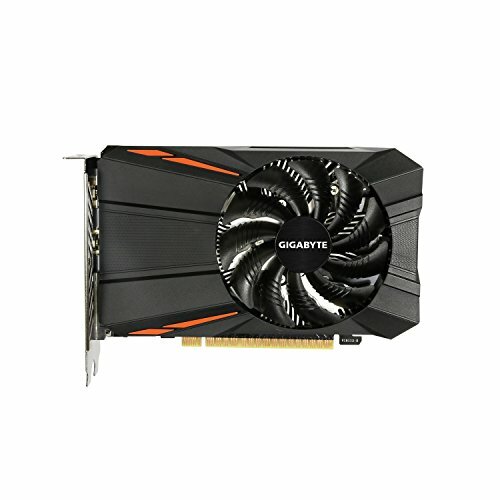 Is the 1050ti okay or upgrading to 1060 better? Depends on your budget and your CPU. It also depends on which 1060 you're referring to-the 3GB or the 6GB. I was thinking of building this exact build except go with a 1060 6gb. I'd recommend the AMD entry-level build with the 1060 6GB. The AM4 socket will be supported for the next 4 years whereas the LGA1151 socket will likely not be supported for more than 2 more years. Both of these builds are very good but I feel that 4 physical cores is better than 4 logical. Yep, 6GB is $50 more, if you think about it for a budget it's really not worth it, but I have a 6GB and a $1000 build and looking to use this PC for future games, so 6GB VRAM will be good as I won't run out of VRAM, as for this build I would recommend a 3GB due to the budget. The G4560 actually doesn't start bottlenecking until you pair it with a 1070 or higher. Do you mean this guide https://pcpartpicker.com/guide/DMdnTW/entry-level-amd-gaming-build? Thanks for choosing my guide. I have ensured my guide will play games at 1080p high/ultra settings. The graphics card really depends on your budget. The 1050ti is an extremely powerful card for its price and should not require you to purchase a 1060 6GB. Personally I'd get the 1060 6GB if you have the money for one because you won't require an upgrade within the next 2 years if you purchase a 1060 6GB. The RAM you added is very good, and should serve you just fine. Upgrading to higher speed would give you about a 5-10 FPS bump but other than that there's no reason for you to do so since the rest of your computer is very good EXCEPT your cooler. I'd recommend a Hyper 212 Evo by Cooler Master. One of the best coolers out there for the price. However, a 3rd party cooler isn't necessary as your CPU comes with a good one but will not handle overclocking above 3.7 GHz. A Hyper 212 Evo cooler will push it to 4.0 GHz. The DDR is not too high. You will need to put in your own sound card and wifi adapter however most motherboards have pretty good audio. If you really want good audio, you can get a sound card however an alternative is plugging your audio device into your monitor (if it's a 3.5mm jack). A good wifi adapter can be had for around $20-40 USD and is very simple to install. Yep go with AMD on low end builds like this one, you defenitely get a good budget build with Ryzen, but intel CPU’s perform better. They only perform better in games, often by just a slight margin. In this case with AMD vs. Intel, the Ryzen 3 1200 beats the Pentium G4560 in games when overclocked to 3.7 GHz or higher. How does this build look? I'm looking at upgrading to an SSD in future. Looks good to me. However, to save $20, I would get the Ryzen 3 1200 and overclock it to 3.8 GHz. I would also switch your CPU cooler to a Cooler Master Hyper 212 Evo, then order the free AM4 bracket required to install it. Other than that you did good. Hey, I wanna build this one or the AMD version as my first pc but I have no clue which one is better, can someone pls tell me the difference? I would mostly play stuff like lol csgo etc on it if that helps, also does the ram matter? I got ddr4 ram from my old laptop so can I use it or do I need to watch out for something other than ddr4 ? would appreciate the help, thanks. I recommend buying the AMD one LatiosGaming made. The Intel one is $30 cheaper, but it's somewhat slower, and it's much slower if you're willing to overclock your Ryzen (G4560 is locked). Build the AMD version. You'll be able to game better and use discord at the same time. Your laptop RAM cannot be used in the build, so don't try. RAM does matter. 8GB DDR4 2666/3000 is standard for budget AMD builds. You'd need 8 more GB RAM to play PUBG on any system smoothly. I've seen it use 12 GB on my system. 8 is a good sweet spot for budget entry level gaming PC’s, so upgrading to 16 is all up to you! Uhm alright, I guess I have no clue from ram how do I know what I need? how much speed is useful for your list? I mean https://de.pcpartpicker.com/product/7YgPxr/corsair-memory-cmk8gx4m2a2800c16r is 2800 for 95 bucks https://de.pcpartpicker.com/product/Xv38TW/corsair-memory-cmk8gx4m2b3733c17 is 3733 for pretty much the same but it has 17 cas latency if that matters or this is the cheapest https://de.pcpartpicker.com/product/BYH48d/corsair-memory-cmk8gx4m2b3000c15 3000 for 88 I just have no clue sorry. or these sticks https://de.pcpartpicker.com/product/BYH48d/corsair-memory-cmk8gx4m2b3000c15 though I do believe the second set is a better deal. They're also made by Corsair meaning they'll last and you should not encounter any problems. LatiosGaming should I add a third party cooler to your build, or a different case with more fans? I'm new to this and the last thing I want is my computer overheating :P Also, what is PUGB? The case is up to you. A 3rd party cooler is needed if you are overclocking above 3.8 GHz. The included Wraith Stealth cooler is surprisingly good. It reminds me of the cooler that came with the i7 980X where Intel actually tried to make a good cooler. I'd recommend an overclock of 3.7 GHz on the included cooler. If you want to push to 4 GHz, consider purchasing the Cooler Master Hyper 212X dual fan and then order an AM4 bracket. You'll also likely want to purchase some higher-quality thermal paste such as Arctic Silver. The included cooler does come with thermal paste already applied, but 3rd party coolers do not. PUBG stands for PlayerUnknown's Battlegrounds, a very popular game in which a lobby of 100 people fight to the death until 1 person or team is still standing. Ok. Thank you! I don't think I'm planning on overclocking, but I'm planning to buy your build? Any monitors that wouldn't screen tear? Would this be a good build for me? It's my first build, I'm 19 years old and would only be playing WoW, Heroes of the Storm, and possibly Dota 2. Other than that I'd use it for movies, pictures and just general stuff. Im having my first child soon and I'm on a budget. WoW would be the main game so as long as it could run that well I'll be satisfied. Thanks for the help! can i have a i5 4460 in this build? It will be a big waste of money, but sure. Samsung EVO SSD preferred choice. Samsung is pretty much the king of SSDs. However, there is an ADATA 128 GB SSD that has been proving itself in price to performance. For $54 you get a reliable SSD that is very quick for its price. Can't tell if you're trolling or not lol. Because if you're not, this machine can get more than 60 FPS at 1080p. As long as your graphics card has 1 GB+ vram and your CPU has 2 threads or more, CSGO should run perfectly. Np. Machine should actually get 100+ with all settings maxed. A thread is part of what the CPU uses to process information. Simultaneous Multithreading/Hyperthreading is when there is an extra thread next to each core that runs in tandem in order to give more processing power and efficiency. i like this but can it mmo? i would get an evga 450B. Never cheap out on the PSU. buy only from good brands like Corsair, Seasonic, EVGA, Cooler masters, Thermaltake, Fractal Design and maybe Rosewill. Keep in mind EVGA, Seasonic, Coolmaster, Rosewill, Fractal, Thermaltake, and Corsair all have deisgned or have not so good/bad units and some are much worse than others and can put your build at risk of damage. Can you? Yes. Is it a good idea? Hell no. The PSU is only part capable of damaging or even killing your PC and you will want a unit that has been reviewed in depth by a professional to make sure its good. If it has no reviews its good rule of thumb its a no go and if on that it is a unit that most people haven't even heard of I wouldn't touch it with a ten foot pole. You should never cheap out on the PSU, its always better to be safe than sorrry. Build seems good. But i would get a Motherboard with the B350 Chipset. That gives you the capability to overclock. So you have Room for more upgrade in the future. And why did you get only an external hard drive? i would get an internal as they arent that expensive. Just so you know: the WD M.2 SSD isnt any faster than the regular 2.5" SSD ;) The rest seems good. Get an internal HDD so it'll safer inside that Corsair case lol. Im a new guy. Do you have to purchase a sound card or wifi adapter for this build? Or anything extra? Is it just me who just wonders how do you post a pc up. I'm new to this stuff. Question: can I run overwatch at 720p at about 45fps? Question 2: can I downgrade the graphics card and still be able to run overwatch at 720p at about 45fps? If so what to? Question 3: will I need to buy anything else? I know about monitor and windows, but anything else? O and should I overclock? This build can run Overwatch at 1080p 60+ fps at the highest settings. You can downgrade to basically anything and get 720p 45fps. If your standards are really that low, then get the gt 1030. $70 and runs Overwatch at 1080p 60fps, but at lower settings. You can overclock the GPU if you want, but there's no need to if you're okay with 45 fps. If you want to stream then Ryzen is definitely the better choice (more cores than intel). It all kinda comes down to what budget you have. The following System would be a perfect streaming PC that doesnt cost that much. A six core CPU, 16 GB of Memory, 500 GB SSD storage, 1 TB HDD a GTX 1060 6 GB and so on. If you want me to make you another part list with better parts let me know. And if you haev questions feel free to ask. if in future I want to upgrade Cpu to i7-7700k and GPU to GTX 1070 do I need to change the motherboard or power supply? In the Intel form of this build, won't the Intel Pentium Bottleneck the GTX 1050Ti??? No, it is really an near-equivalent to an i3 at this point. Hello would anyone recommend this as a good starter kit for gaming. Yeah.. i have the same system and its great..
Im new to building computers. long story short i want something that will run "Space Engineers" without a problem. will this setup do well? OK so i am completely new to PC gaming and thought this build would be a good idea. i do have a few questions tho. 1. I am in school learning architecture and use programs like auto cad and sketch up, i was wondering would this PC have a problem running these programs. 2. what kind of games would it be able to run. like could it run H1Z1, GMOD, CSGO, or Rainbow six siege. these are the and i will most likely be playing. Final question does it support a double and or triple monitor set up because my friend has a alien ware alpha and he says that can only do a single monitor. Thanks for you understanding! Cheap case = Cheap quality, plus you want to have room for upgrades. If you are worried about the CPU, you can overclock the CPU a little bit; but not way much or the motherboard will maybe burn up. Extra $100 for only 13% more effective speed at the moment? Nah, bruh. Yep! Updating it momentarily, thanks though.